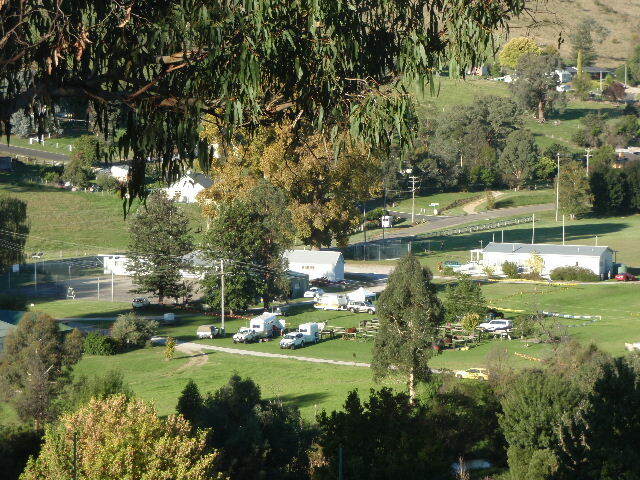 Last weekend saw the inaugural Buchan Tall Timbers endurance ride held in East Gippsland in some of Victoria’s famous High Country. Buchan is a gorgeous little village set in a green valley and surrounded by an amphitheatre of tall timbered mountains. Very tall mountains. And we got to ride them – yippeee! My good friend Susan Gill – another Team Easyboot 2011 member – and her band of helpers, ran a very professional, smooth and thouroughly enjoyable event. I really hope they are planning to make this an annual endurance ride as the setting is superb and the tracks challenging but so very enjoyable. I rode my homebred mare, Mullungdung Promise, who was booted all round in Gloves. Prommie is a seasoned endurance campaigner but has competed with my granddaughter Nadine Harte. This year I have taken her back and said it is my turn to have some fun on her! Prommie had a break last year and she has just weaned her second foal so we are taking things easy with a 60 km ride. Due to having quite tiny feet, Prommie is quite hard to fit exactly with Gloves. When freshly trimmed she fits into 00 behind and 00.5 in front. If she has even a week or two of extra growth then she will not fit properly. I tend to ride her barefoot at home most of the time, but really like the security that Gloves give me at rides and longer distances. The start of the ride crossed the Tambo River so I knew this would be a test for the Gloves – and if I had trimmed Prommie properly! Not a problem at all. The boots never shifted and Prom was very surefooted over the large slippery boulders in the river crossing. The tracks were very hilly but oh so beautiful! 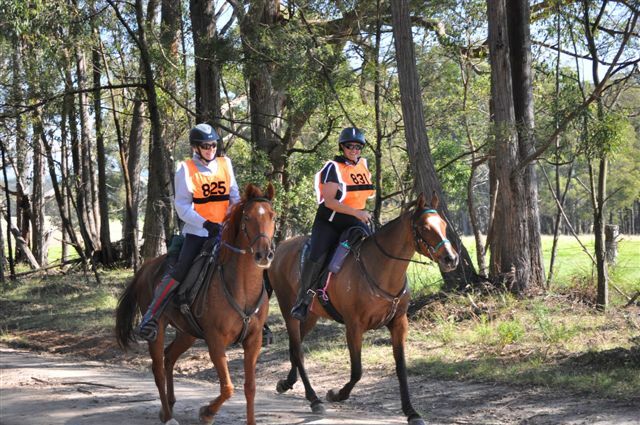 Nothing beats riding a great horse through the Australian bush in the company of a good friend. 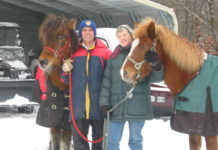 I rode with Susan Gill on her young horse Sundance. 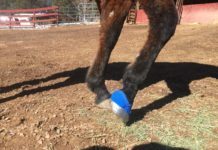 Both horses wore Gloves and both were very comfortable over all the differing surfaces – including some very rocky patches. The great thing about the bare/booted horse is that they have confidence in where they place their feet. 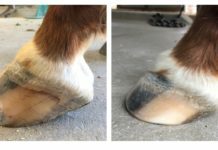 They can FEEL the surface under their hooves and are so surefooted. Steep downhill stretches were not a problem, although many other competitors fell victim to the tough going and vetted out lame. Unfortunately, in the leadup to this event I had suffered a serious ankle injury which will require a reconstruction in the near future. I tried to ignore the thing and just ride, but ankle had other ideas and at the 30K mark I had to retire off course. So annoyed! Just as my ‘brilliant’ endurance career is kicking off again. When I got back to camp, I checked Prommie’s Gloves and there was not a skerrick of grit or dust in them, and not a rub on her pasterns either. These boots are just the best and I love using them – and I find people come up and ask me about them all the time. I generally carry a bag full of spare boots at a ride and often loan them to a rider who may have lost a shoe. I have made a few Easyboot converts that way.